You're Broke, But Is Debt Consolidation For You? I'm often asked if debt cosolidation is a good thing. First of all, debt consolidation involves a whole lot more than simply making a single payment. There are actually two types of debt consolidation: Debt Management Plans (DMP) and Settlement Plans (SP). Which one is best for you depends on your situation. When we're talking debt consolidation, we're talking unsecured debt only -- any debt that is NOT attached to specific items like credit card debt. What the Heck Are Debt Management Plans (DMP)? What the Heck Is Debt Settlement? This is the option you take when you cannot pay off your debt in full. At some point you have stopped paying your unsecured creditors and you're receiving calls from collection agencies. As with DMP above, you choose a provider (more on that later,) and you make payments to the provider, who in turn pays your creditors. The provider negotiates your payment to the creditors as you're looking to only pay a portion. There definitely are some unscrupulous characters out there when it comes to debt consolidation. 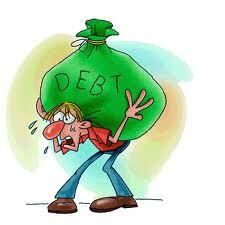 Do you know of anyone who has tried a debt management plan or even full debt settlement? Let us know in the comments below.